She first burst onto the music scene with her band Theaudience way back in 1994 and, over two decades later, she’s still churning out the hits. Right from her early days as an indie pop princess, through to her more recent folk-tinged transformation, Sophie Ellis-Bextor’s distinctive voice, angular good looks, and witty lyrics have always caught the public’s attention. Here’s everything you need to know about one of the UK’s most successful female solo artists of recent times. When is Sophie Ellis-Bextor’s birthday? Sophie Michelle Ellis-Bextor was born on 10th April 1979 in London to parents Janet Ellis and Robin Bextor (keep reading for more on them). Who is Sophie Ellis-Bextor’s mum? Sophie’s mother Janet Ellis MBE is probably best known for presenting children’s TV programmes ‘Blue Peter’ and ‘Jigsaw’back in the Eighties. She received an MBE in 2016 in recognition of her services to charity and theatre. Who is Sophie Ellis-Bextor's dad? 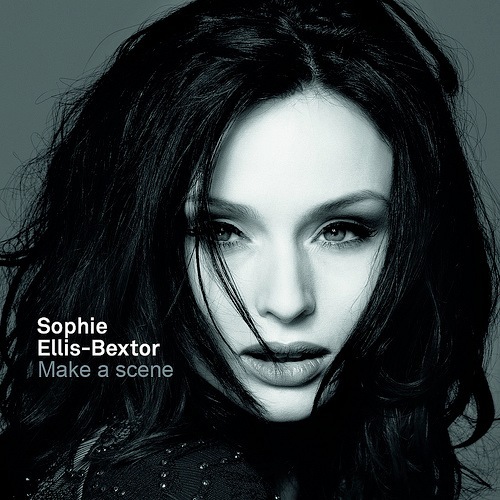 Sophie’s father is TV and film producer and director Robin Bextor. As well as directing ‘That’s Life!’, he’s also been involved in creating numerous award-winning documentaries, and has made pop videos for acts including Adam Ant, Bucks Fizz and Sophie’s former band Theaudience. Sophie is the only child of Janet and Robin. Her parents separated in 1984; Janet went on to have two children with her new partner, and Robin had three more kids. 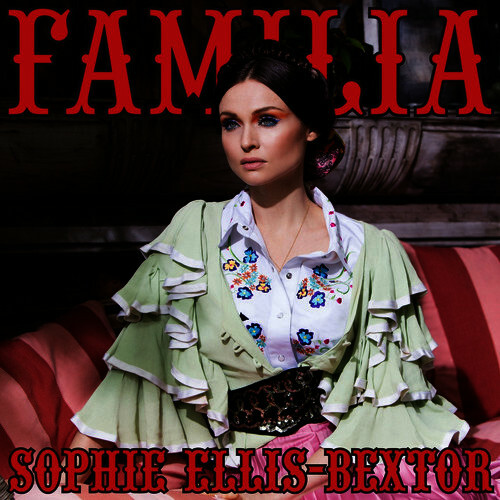 This means that Sophie has three half-sisters (Martha-Rose Ellis-Leach, Maisy Bextor and Dulce Bextor) and two half-brothers (Jackson Ellis-Leach and Bertie Bextor). How tall is Sophie Ellis-Bextor? Sophie Ellis-Bextor is 1.75m (or 5ft 7in) tall – that’s 3.5 inches over the UK national average for a woman! Theaudience released four singles – including ‘I Know Enough (I Don't Get Enough)’, and ‘A Pessimist Is Never Disappointed’ – as well as a self-titled album in 1999. But it simply wasn’t to be for the band, and they were dropped by their label before they had chance to record their second album. In 2000, Sophie collaborated with Italian DJ Spiller, providing vocals and lyrics for his then-instrumental dance hit ‘Groovejet’. The song, which is built around samples from ‘Love Is You’ (a disco song performed by Carol Williams with the Salsoul Orchestra), was already massively popular in the clubs – but it was felt that the repetitiveness of the instrumental meant it wouldn’t do so well in the charts. And that’s where Sophie came in. The new version of the track – titled ‘Groovejet (If This Ain't Love)’ – went straight into the UK charts at number one, just beating Victoria Beckham and her debut solo single to the top spot. The song proved to be the biggest hit of the summer, also shooting to number one in New Zealand, Ireland and Australia, and selling more than 600,000 copies in the UK alone. The catchy track has remained a firm favourite; The Metro newspaper named ‘Groovejet (If This Ain’t Love)’ the ninth greatest number 1 of all time following a reader poll, and it was the most played record on UK radio in the Noughties. Sophie has released an impressive six solo albums – here’s a little bit about each one. Sophie released her debut album – which remains her most successful to date – in September 2001. 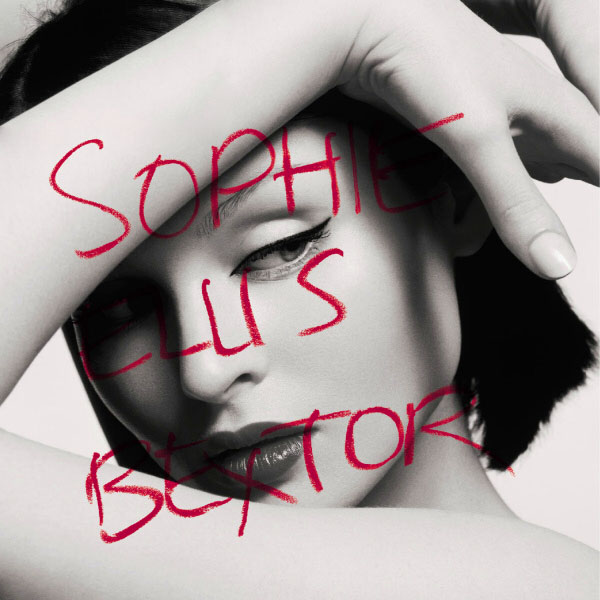 This album contained the massive hit ‘Murder on the Dancefloor’, which became Sophie’s biggest solo single, peaking at no.2 in the UK charts and remaining in the Top 40 for nearly six months. Sophie released three more singles from Read My Lips: her cover of Cher’s ‘Take Me Home’, ‘Get Over You / Move This Mountain’, and ‘Music Gets the Best of Me’, all of which made it into the top 20. And it wasn’t just the fans that loved this record: In 2003, Read My Lips won the Edison Award for Best Dance Album. 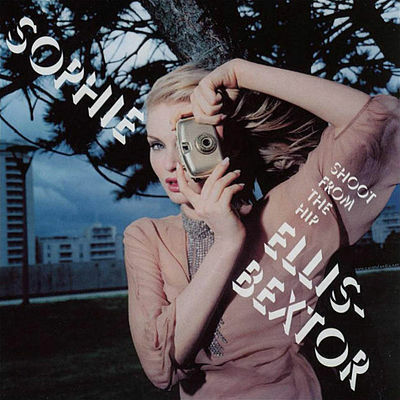 Shoot from the Hip came out in October 2003. The album – which is less pop-influenced than its predecessor – reached number 19 in the UK and spawned two top ten singles: ‘Mixed Up World’ and ‘I Won't Change You’. 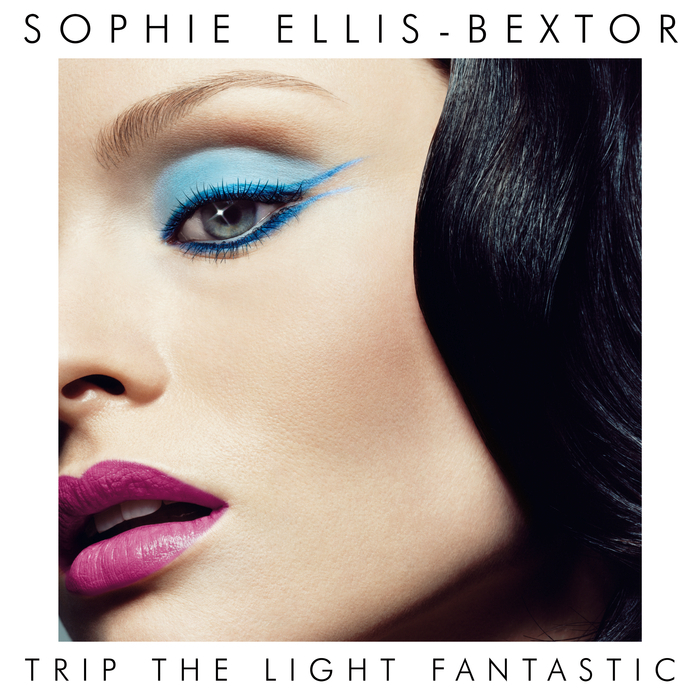 Released in May 2007, Sophie’s third album, Trip the Light Fantastic initially went into the charts at number 7. She released four singles from this album – ‘Catch You’, ‘Me and My Imagination’, ‘Today the Sun’s on Us’, and ‘If I Can’t Dance’, which featured on the soundtrack to the 2007 film St Trinian’s. It would be four more years before Sophie released her next record, Make a Scene, which reached number 33 in the UK. Lead single ‘Heartbreak (Make Me a Dancer)’ – a collaboration with Freemasons – peaked at number 13. For her fifth album, Sophie shifted her style a little, toning down the pop influence and bringing in folk and orchestral sounds instead. The change of tack proved a hit: Wanderlust became Sophie’s highest-charting album since Read My Lips, peaking at number 4 in the UK. Sophie began working on her sixth studio album in January 2015, taking a break from recording to give birth to her baby Jesse in November 2015. She was back in the studio by January 2016, and Familia was eventually released on 2 September 2016. As well as completing several of her own tours over the years, Sophie has undertaken a number of high-profile support slots. In June 2007, she opened for George Michael on the UK leg of his tour, and a few months later headed out on the road as a “special guest” of Take That on their Beautiful World Live tour. In 2010, she provided support on the Pet Shop Boys’ The Pandemonium Tour, and, in 2011, opened for Erasure. In 2002, Sophie Ellis-Bextor won the Recording Artist Award at the Showbusiness Awards. In the same year, she was nominated for British Female Solo Artist at the Brits, and went on to be nominated for a further two consecutive years. Sophie is well-known for her vintage-inspired look – she’s a big fan of fifties-style skirts, sixties-style shift dresses, platform heels, and big, bold prints. She told Hello magazine: “I enjoy my wardrobe. I'm not one of those people who say, 'I'll save that special outfit up for a rainy day.' I am always finding weird and wonderful things on eBay too and then wearing them on the school run." She loves her winged eyeliner, long lashes and bold red lipstick too, so it’s no wonder that make up brand Rimmel chose her to head up one of their advertising campaigns back in 2008. And Sophie proved her strong style credentials yet again when she was named the new face – and legs – of Pretty Polly in 2014. Sophie met her future husband Richard Jones (who later went on to become bassist with The Feeling) in 2002 when he auditioned to be in her band. They married in 2005 and now have four children together: Jonny, Kit, Ray and Jesse. Sophie suffered from the dangerous condition pre-eclampsia during her first two pregnancies, resulting in both babies being born prematurely. But that hasn’t put her off pregnancy, and she hasn’t ruled out having another child at some point in the future. Was Sophie Ellis-Bextor on Strictly Come Dancing? Did you know that the video for ‘Murder on the Dancefloor’ depicts Sophie taking part in a dance competition where she cheats her way to victory? So it’s pretty weird that, 12 years later, she eventually ended up competing in the biggest dance competition around! Sophie took part in the 2013 series of the immensely popular BBC entertainment show. She was partnered with one-time winner and so-called 'bad boy' professional dancer, Brendan Cole. In week two of the competition, the couple topped the leader board with their Charleston, and repeated their success in week four with their Foxtrot. Sophie danced impressively throughout the series, and made it all the way to the Strictly Come Dancing final alongside fellow celebs Abbey Clancy, Susanna Reid and Natalie Gumede. Facing strong competition, she ultimately finished in fourth place. She returned to the ballroom the following year to compete in the Strictly Come Dancing Christmas special, where she was paired with Aljaž Skorjanec. They danced an American Smooth to the song ‘White Christmas’, and turned in the second-highest score of the night. Sophie’s mum Janet is well-known for her charity work, and her charitable nature certainly seems to have rubbed off; Sophie is a staunch supporter of animal rights, as well as children’s and environmental causes. In 2002, she posed for an anti-fur advertisement for PETA. In November 2007, she helped launch the npower Greener Schools Programme. She also launched Capital Radio's Lights Out London campaign, which asked Londoners to switch off their lights for one hour in a bid to save 750 MWh. She also fronted a campaign for The Children’s Society and performed at the Promise Rally in 2008, and is a patron of The Music House for Children and the W11 Opera, organisations that encourage and enable young people to engage with music. 1. Sophie made her TV debut at the age of four, appearing on the BBC's ‘That's Life!’ programme (which was produced by her father – showbiz is all about who you know, right?). 2. She’s a lifelong supporter of Fulham FC. 3. Back in 1998, she was voted one of the sexiest people in rock by readers of Melody Maker. 4. She decided to get the distinctive ‘Family’ tattoo on her arm just before her wedding day to celebrate her marriage and because she thought it would go well with her dress, “though I did understand it was going to be there after the event” she adds. 5. In 2001, she made a brief cameo in Ricky Gervais’ BBC2 sitcom, ‘Life's Too Short’. 6. She has a huge Russian fanbase, and performs there regularly. 7. She auditioned for the role of Satine in the 2001 movie Moulin Rouge! ; the part, of course, eventually went to Nicole Kidman. 8. Sophie’s mega fans also refer to her as ‘The Dance Queen’ and ‘Mademoiselle EB’. 9. She performed a special cover of Dolly Parton’s ‘Jolene’ for the BBC at Glastonbury 2014.